When it comes to proposing to your other half, you will want to ensure that you have an engagement ring that will knock their socks off. One way that you can do this is to move away from the traditional diamonds for your ring that is colourless, to diamonds of colour that will blow your partner away. Most diamonds that are mined around the world are colourless, which means that the ones with colour are extremely rare. Remember everyone has his colour choices and you just want to make sure you meet the tastes and preferences of your partner. Some articles available online will tell you that there are different meanings to the colour of diamond you choose. Below you will find details of some of the rarest diamond colours that could make the perfect ring for your partner. Choosing one of them will create great memories in the mind of your partner for all your days on earth. One of the rarest colours of diamonds is pink and red ones, which makes them popular among people that are looking for something different. There are only three places in the world where these diamonds are found, and these places are Australia, South Africa, and Brazil. The colour of the diamond comes from a chemical impurity, and they are so rare that there have only ever been 20-30 truly red diamonds found throughout the world. The largest red diamond ever mined was the Moussaieff Red Diamond which was found in Brazil. This diamond weighed in at 5 carats and was sold in 2001 for $10 million. Given their rare nature, pink and red diamonds are among the most valuable engagement rings all over the world. Committing yourself to get one for your partner will just tell you how much you love her. If you are looking for a unique coloured diamond for your engagement ring, then you cannot go wrong in choosing stunning Australian Argyle pink diamonds, which will make your partner’s eyes sparkle. The most common colour of diamonds is yellow diamonds, which are also a popular choice for engagement rings. It is nitrogen which turns a colourless diamond yellow, and you only need as little as 0.10% nitrogen to change the colour. The colour can vary quite a lot between a brownish colour and an intense yellow, which gives off a vibrancy that attracts the eye. Most people go for these engagement rings because they tend to blend well with the skin colour. Given the variation in the yellow diamond shades, you can also get something that will make your partner stand out from the crowd. Another colour of diamond which is both rare and expensive is blue, and it is the chemical Boron which gives a diamond this colour. The colour can vary from light blue, all the way to a dark blue-green, which makes this coloured diamond a popular choice when looking for something a little less ordinary. One of the most famous diamonds in the world, the Hope diamond, is a blue diamond and it has an estimated worth of over $300 million dollars. Most people love this shed and it’s an excellent option as long as you can meet the budget. Another rare colour of a diamond is orange, and just as with blue diamonds, it is nitrogen that gives the diamond its colour. However, the atoms must be aligned in a specific way to create the orange colour. The biggest orange diamond ever found weighed in at 14.82 carats and was sold for a staggering $35.5 million in 20013. The orange diamonds have only ever been found in Africa and Australia, which adds to the rarity of these coloured gems. 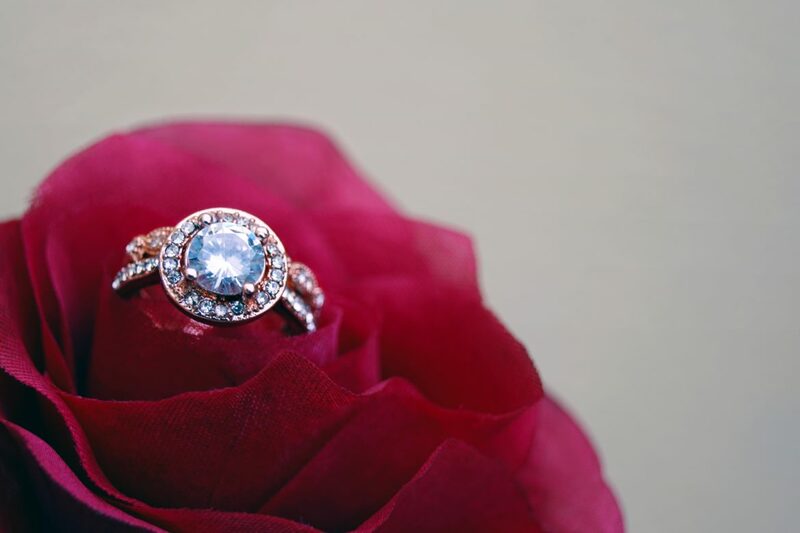 When looking to purchase an engagement ring, if you really want the ring to stand out and show your partner just how much you think of them, a coloured diamond ring may just be the answer you were looking for to show them how special they are. With all these colour choices of diamond engagement rings, you will not fail to get something that will make your partner happy. Take some time to think through the list and choose a unique product that will make her shine.